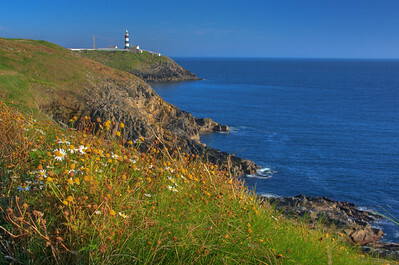 View of Old Head lighthouse and 17th green, from the clubhouse patio. 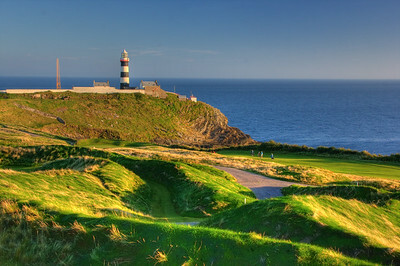 Ol Head lighthouse from the 15th tee box. The terrifying 12th at Old Head - most intimidating golf hole anywhere. 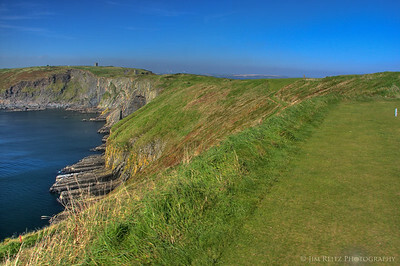 575-yard par 5 down the narrow spine of the peninsula, with a strong wind blowing your ball left over the 500-foot cliffs. 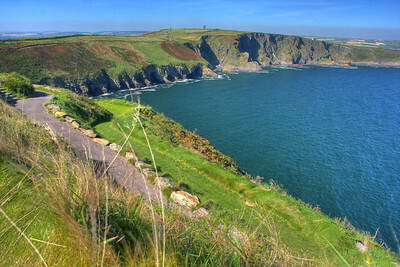 Steep cliffs on all sides at Old Head. 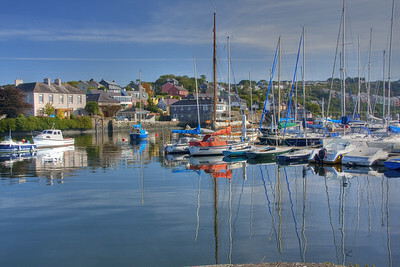 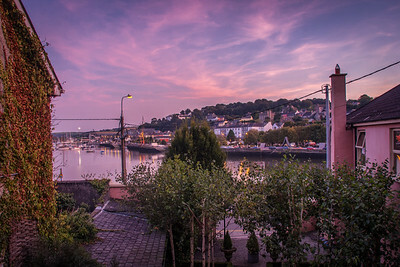 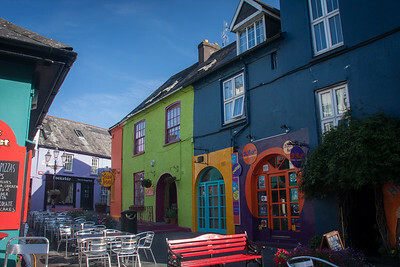 Kinsale is a very pretty, tourist-oriented town - with lots of shops and restaurants. 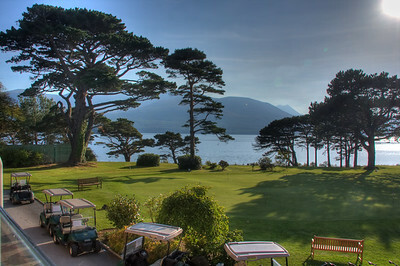 Even the practice green has gorgeous views at Killarney. 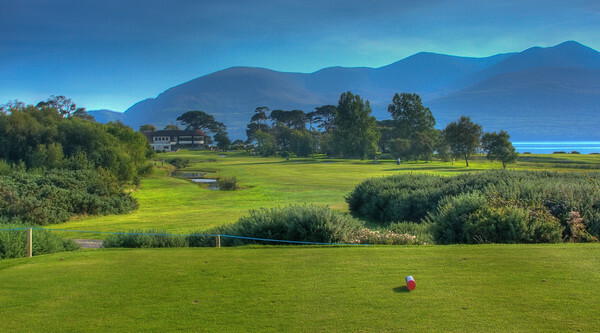 The 18th at Killarney's Killeen Course - a fun finishing hole. 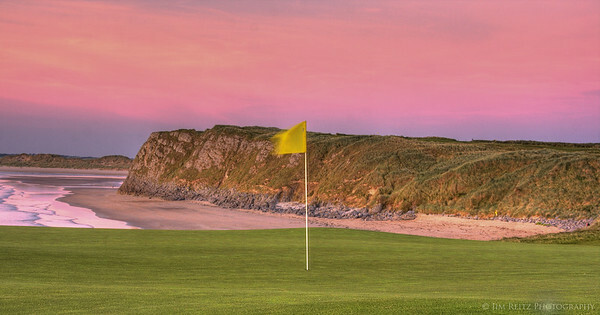 The sky turns pink at sunset behind Tralee's 2nd hole. 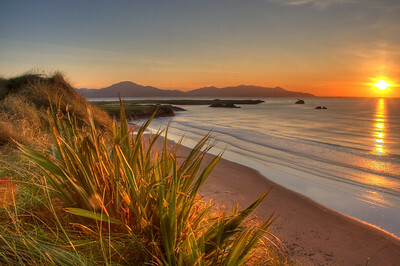 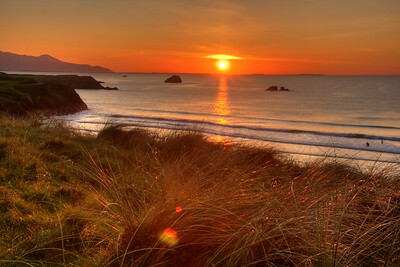 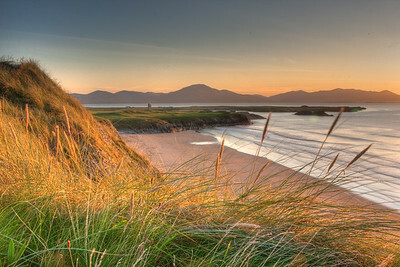 A beautiful sunset, taken from the 18th tee box at Tralee. 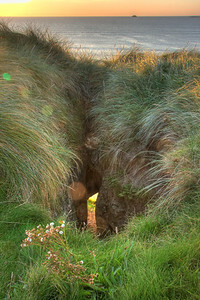 The "Goat's Hole' in the cliff below Tralee #18 ntee box, seen from behind the tee box. 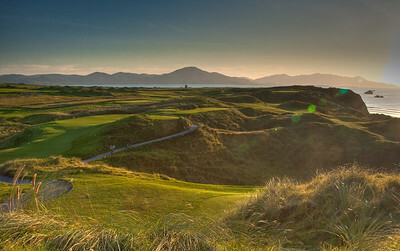 Looking up the coastline from Tralee 18th tee-box. 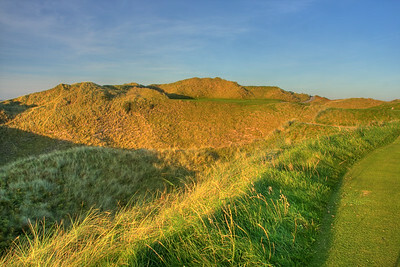 The 13th at Tralee is a par 3 over a deep ravine to a narrow shelf green on the side of a huge dune. 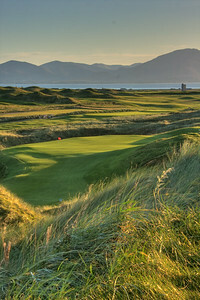 View of the 12th green at Tralee. 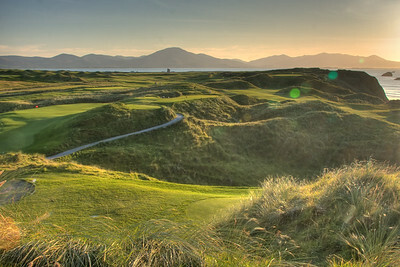 View looking south from the 14th tee box at Tralee. 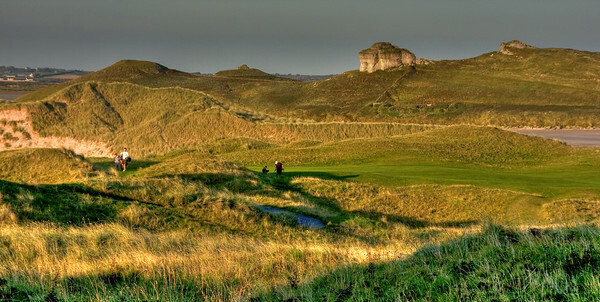 Rock outcroppings behind the 15th hole at Tralee. 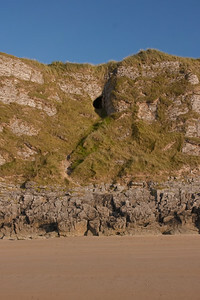 The "Goat's Hole' in the cliff below Tralee #18 ntee box, seen from the beach. 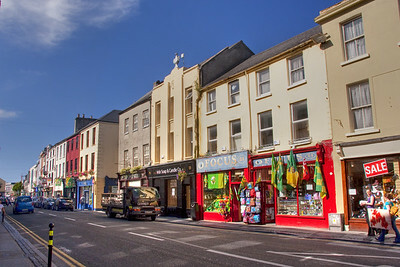 Colorful shops line the streets of Tralee town center. 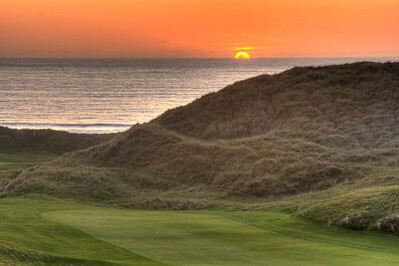 Sunset over the 18th at Ballybunion Old Course.